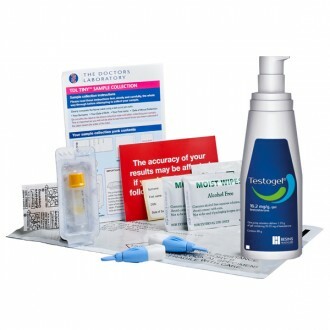 The Independent Pharmacy offers a home finger prick blood test kit for total testosterone. 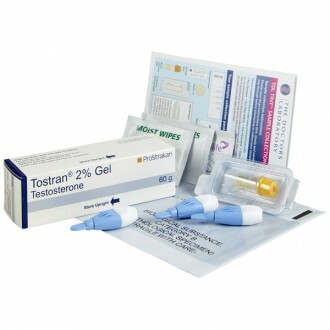 Send your blood sample to our affiliated lab for accurate total testosterone results. When you request your test kit online, it will be dispatched the same day (before 4pm) on your selected delivery service. 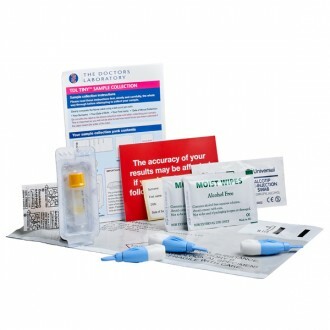 The test requires a small blood sample, which should be taken from your finger using the single use lancets into the sample bottle provided. You should perform the test and send it off as soon as possible. The test is best completed in the morning, preferably before 10am, and posted the same day to ensure the blood arrives in the best condition for testing. The test kit includes full instructions that detail how to take a the blood sample and how to prepare it to be posted to the lab. Please ensure that you read and follow these instructions fully. How quickly do I get the results? 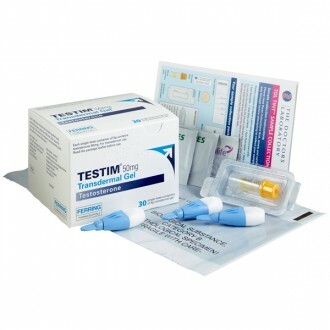 Testosterone results are normally available two to three working days after posting your sample to the lab. You will be emailed to inform you that your results are available by logging into your online account. What if I need extra information? You can contact our healthcare support team by email or telephone for further advice if you need any help understanding your results. What if my results are low? If your results are low, you have symptoms of low testosterone, and you are aged over 40, you may be eligible for online treatment from The Independent Pharmacy. You can see the available low testosterone treatments here. If you are aged under 40 and have symptoms, we suggest you speak to your GP to arrange referral to a consultant who will be able to advise you further on treatment options. We are able to provide you with copies of your results or help with a referral to your GP, if necessary. What if my results are normal but I have symptoms?